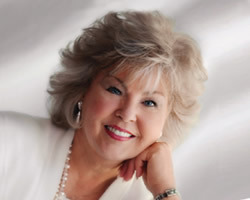 Most of the time I choose a nonfiction book that brings a new insight or fresh approach to an eternal truth or encourages spiritual growth in an area that seems to need emphasis for the times in which we are living. 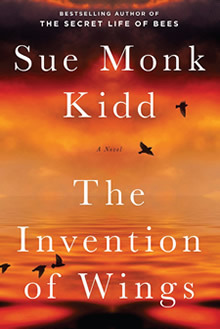 But this time I am recommending the New York Times bestselling book of fiction, The Invention of Wings by Sue Monk Kidd, author of The Secret Life of Bees. At a time when the present generation doesn’t have any memory of the Civil Rights Movement or the Vietnam War, it is hard to expect much knowledge of the time when Americans imported slaves and the economy of much of our country depended on the labor they provided, or of a time when women could neither vote or own property. And even if our sterilized textbooks teach something about the Civil War and the Emancipation Proclamation, there is little to capture life on both sides of the issue as it was lived at the time and thus inform some of the resulting attitudes that still precipitate the happenings we find on the 24/7 news broadcasts today. “Inspired in part by the historic figure of abolitionist and suffragette Sarah Grimke, Kidd’s novel is set in motion on Sarah’s 11th birthday, when she is given ownership of 10-year-old Handful,” reads the book jacket. But from that jumping-off place, Kidd weaves an impossible-to-put-down story of two amazing women, both of whom are struggling to find their true identities and the courage to become what they discover. The book is about a lifelong relationship, a heartbreaking set of circumstances, and the emergence of two destinies shaped by a prison of expectations and blood-chilling risks. Though this story takes place at the beginning of the 19th century, we who are trying to make our way in the turbulent beginning of the 21st century will find something stirred within us that calls us to also take risks for what is right, and in doing so, never give up the passionate quest for freedom, hope and an America that has a conscience that transcends political rhetoric and social convenience. My two other favorite openings for novels are from Look Homeward Angel by Thomas Wolfe and Grapes of Wrath by John Steinbeck. But that is a discussion for another day.